Most immigrants know that they can obtain U.S. residency (a Green Card) through family sponsorship, but the process to get a Green Card through a U.S. employer often remains a mystery. Do you have to already be working for the company in order for them to sponsor you? Do you have to be in the U.S. to get sponsored? How long does the process take? How do you qualify? These are all very important questions. Immigration regulations allow U.S. employers to sponsor foreign immigrants to immigrate to the U.S. in order to take up an available job position, which the employer has been unable to find a U.S. worker to fill. Occupations which are often difficult to find qualified U.S. workers to fill cover the spectrum, from sheepherders (yes that is a real occupation) and tree cutters, to nurses, engineers and everything in between. Some occupations are more favorable for getting approved than others, depending upon the current job market and type of skills needed. For instance, low level positions which involve heavy labor or harsh conditions (often not requiring training or experience), such as tree cutters working outside in the heat all day are very difficult to fill and are good prospects for labor certification approvals. Similarly, highly skilled jobs involving science, technology, engineering and math, requiring bachelor’s and often master’s degrees, are likewise good candidates for approvals. First, it’s important to understand that the labor certification process to obtain residency through an employer, does not in itself confer any legal immigration status or visa until the process is complete. So, immigrants who are in the U.S. visiting cannot legally remain here during the process, unless they have legal status through another type of visa, i.e. H-1B work visa, F-1 student visa, etc. Sounds confusing, but it really does make sense, when you look at a typical labor certification case, such as this one. Yum Yum Chinese restaurant (Yum Yum) serves specialty Chinese cuisine. The restaurant is expanding and wants to open another location, but they have been unsuccessful in finding a qualified Chinese cook. The restaurant decides it must recruit and hire a cook from Hong Kong. Mr. Wu, who lives in Hong Kong has 15 years of experience as a specialty cook, sees an ad Yum Yum put in the Chinese newspaper looking for an experienced cook. Through an immigration attorney, Yum Yum begins the labor certification process, which first requires applying to the Department of Labor (DOL) to find out the minimum wage they are required to pay the cook, then proceeds with placing more ads to try to recruit a qualified U.S. worker cook. After no success in finding the U.S. worker, Yum Yum files a labor certification application with the DOL requesting to permanently hire Mr. Wu for his Green Card. After about four to five months, the DOL approves the labor certification application and in the next step, the immigration attorney files an employment Immigrant Visa application (called I-140) with the U.S. Citizen & Immigration Services (USCIS) attaching the labor certification approval and other documentation, requesting approval of the visa. Thanks to expedited processing, the application is approved by the USCIS in as little as 15 days. Once approved, the USCIS sends the case to the National Visa Center to prepare the case for Mr. Wu’s appointment at the U.S. Consulate in Hong Kong. Approximately four months later Mr. Wu attends his consular appointment, receives his Immigrant Visa and comes to Miami a month later. Once he enters the U.S., immigration officers order his Green Card and ask him what address he wants it sent to. Mr. Wu is now a U.S. resident. But, what happens if Mr. Wu is already in the U.S. legally? Let’s say that Mr. Wu is here in the U.S. on an F-1 student visa attending courses at a cooking school. 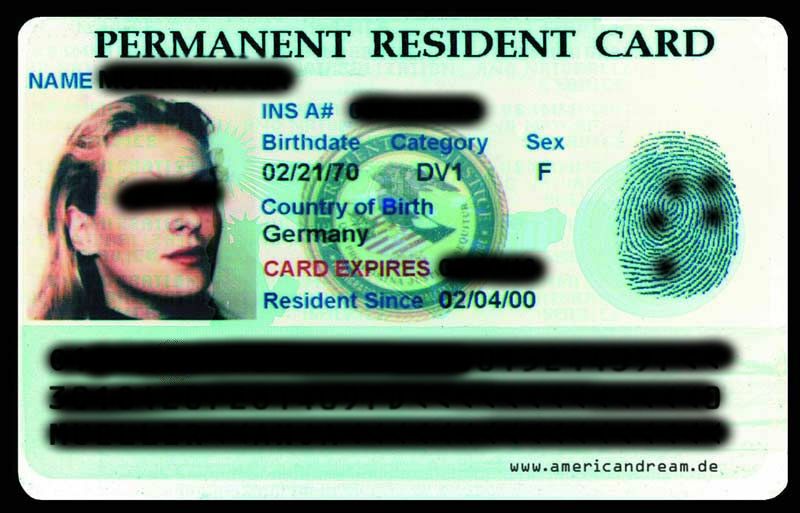 The process is exactly the same as above, except once the I-140 Immigrant Visa application is approved by the USCIS in 15 days, Mr. Wu can immediately file his residency application to adjust status from a student visa to a Green Card holder and he does not need to leave the U.S. and attend an interview at the consulate. After 6-8 months, he will attend his residency interview in Miami and receive his Green Card in the mail within about 15 days. This is the basic process in a nutshell.